Since 2010, FC Tucson has strived to represent soccer in Southern Arizona at the highest level possible. Now, it’s time to honor the community that laid the groundwork for us. 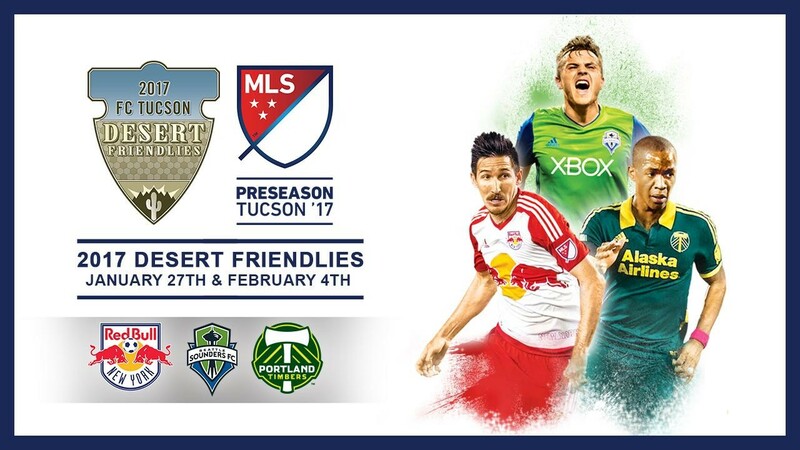 FC Tucson is proud to partner with the Pima County Junior Soccer League to present Tucson Legends of Soccer Night on January 27th at 6:30 p.m. as the New York Red Bulls and Portland Timbers kick off the 2017 Desert Friendlies. We’ll honor some of the biggest names in Tucson over the last 40 years including players, coaches, and community leaders that helped shape the fabric of our soccer community today. PCJSL families will receive a special discount on tickets and are encouraged to bring the whole family to see these legends honored. Some honorees will include the New York Red Bulls’ Luis Robles, Real Salt Lake’s Justen Glad and Ricardo Velazco, former Boston Breakers’ player Analisa Marquez, founder of Tucson Soccer Academy and Salpointe High School Boys Soccer Coach Wolfgang Weber, and Pima County Supervisor member Richard Elias. Fans will be treated to an exciting match that features the Red Bulls’ first appearance in Tucson since 2011 as they take on the Portland Timbers, who consistently have some of the most supportive fans in MLS.